Eeeek!! Welcome back House-Mouse Fans! 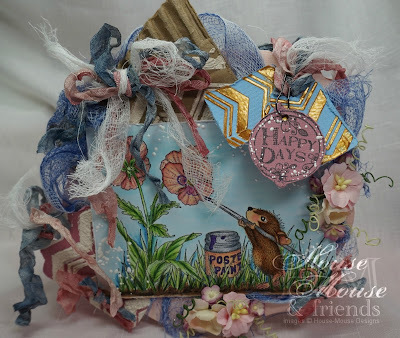 Did you play along on our last PASTELS themed Challenge HMFMC215? If so, thank you! Be sure to check back on tomorrow's post to see if you've won! Right now, it's time for a really FUN and unique Challenge in which we've got a special 2 week long BLOG-HOP planned for you! 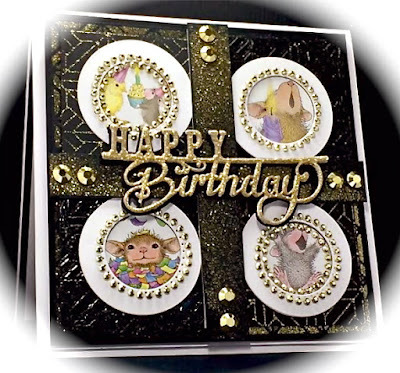 We’re celebrating stencils, and using them with our House-Mouse Designs® images. We’re going to bring you tons of inspiration over the next two weeks, and we can’t wait to see what you enter into the challenge! You may use ANY House-Mouse Designs® images or characters on your project, AND any stencils and stenciling techniques that you like. NOTE you also have the alternate option of going with an *ANYTHING GOES* project as long as your project uses any of the stamps, CD collection images or decoupage byHouse-Mouse Designs(R). There are 3 Stampendous prizes!! 3 lucky entries, chosen at random will win 1-HMD Stampendous Cling Rubber Stamp, 1 – Large Dreamweaver Stencils Background Stencil, and 1 – Jar of Embossing Paste. Isn't that Great? HMD is also Offering another Lucky player a $20 Gift Certificate to shop at House-Mouse Designs(R) ! Thank you all for your stunning contributions. IMPORTANT: This is a CHALLENGE Blog-Hop! You are not automatically entered to win simply by commenting on the blog posts as in our usual Blog-Hops. You MUST create a project and link it to the Linky Tool on this site. (For Instructions how to do this, see below). Link your entry to the linky tool by the end of Friday, April 8, 2016 (11:59 pm in your own time zone). Get the URL for the specific post that contains your project – click on the title of your post, copy the URL from your browser’s title bar, click on the inLinkz picture on the HMFMCB post, paste your URL into the tool. Add your name and email address and voila, you’re entered! 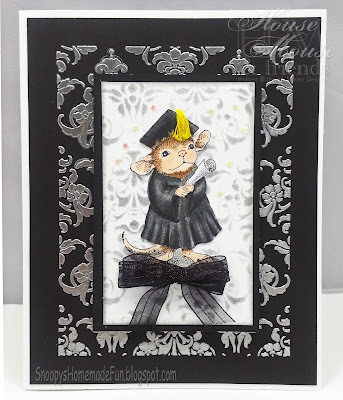 There will be 3 LUCKY Stampendous WINNERS - Each will win a stencil, a jar of paste and a House-Mouse Designs stamp. There will also be another Prize from HMFMC offering another Lucky Player a fabulous House-Mouse Designs. Comment on DT's posts and Create something fun and a little bit wonderful. It’s not a talent show, winners are randomly selected. Use an HMD image plus a stencil on your work (or choose “anything goes”). It doesn’t have to be a card, it can be any kind of project. NO PURCHASE NECESSARY. You'll get one entry for each comment you leave on a post at HMFMC Blog, HMFMC Team member’s blog, Stampendous blog, and/or Stampendous Team member’s blogs. This amazing BLOG-HOP is Open to everyone. Don't MISS OUT! Be sure to HOP along, comment and enter a project by Linking your entry to the Linky tool by the end of Friday, April 8, 2016 at MIDNIGHT, Eastern Standard Time Zone! Winners are responsible for all taxes/customs duties/ and, or fees to collect their prize. Oh how I loved the blog hop. It was just what I needed. The cards are so awesome and got me going again. Thank you for this hop and all the beautiful cards the girls made. I am in awe. Hugs to you all. Great blog hop! I love all of the cards shown here! Thanks for the added inspiration. These cards are all so wonderful! OH MY GOODNESS... All of these cards are so stinkin' adorable, beautiful and full of wonderful inspiration!! 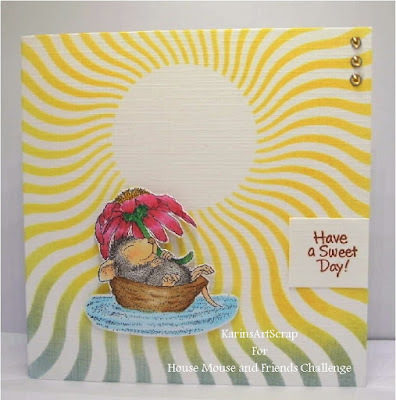 Fab hop and so much inspiration, like one huge tutorial too with all the different ways to use stencils and a real showcase of delicious HM stamps ,so many more added to my wish list now think I need to win the lottery big time. thanks for all your hard work too. Wow, amazing cards by the DT. Great, inspiring hop. Very inspiring DT cards and fun hop! Such a nice blog hop, love them all! Awesome cards - such wonderful variety! I hopped Now I gotta make a card!! Great organize of this bloghop! Fantastic! Everyone make there own style with stencils. Great theme too. What a great blop-hop. I tried to leave a comment everywhere, but it didn't suceed with everyone. I am "squeaking" in with an entry on the last day!! Thank you for this wonderful hop and for the chance to win some wonderful goodies! !